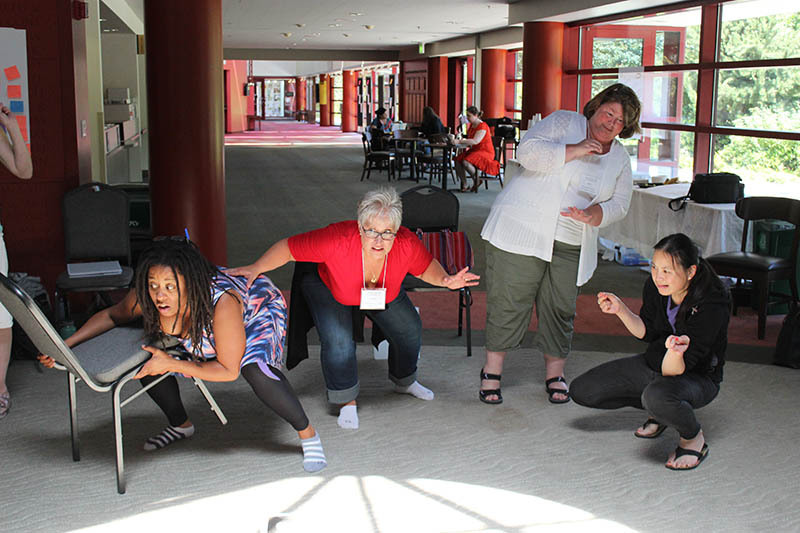 Bringing Theatre into the Classroom or ‘BTiC’ is an engaging, fun, five-day professional development intensive for teachers that will equip you with the tools and skills to integrate drama into your entire curriculum. 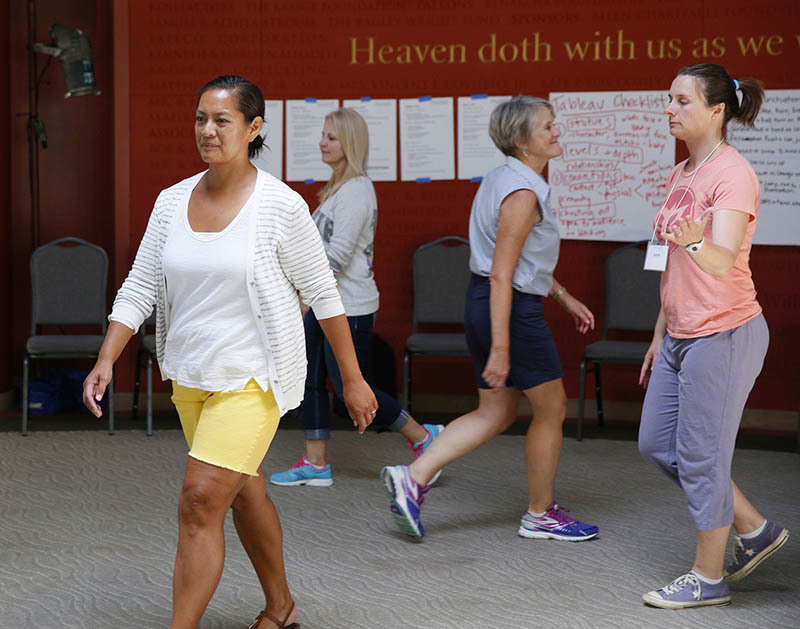 The program is open to all educators and held at Seattle Repertory Theatre July 15-19, 2019. The program is open to all educators. Clock Hours & University Credits are available. Are you a Creative Advantage School? You can use Creative Advantage funds to pay for BTiC. Talk to your school administrator about setting aside funds today. The following are some sample workshop offerings from past years. Check back for updates on new curriculum and workshops being added to for 2019. 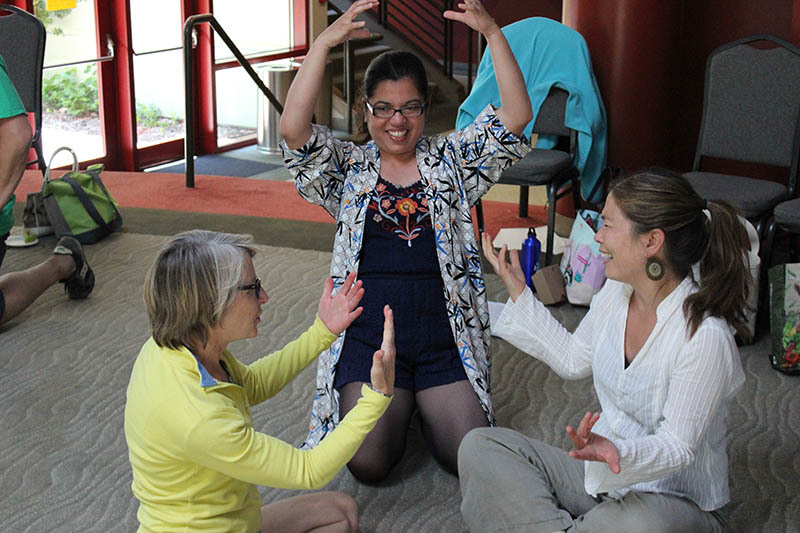 Sessions with Seattle Children’s Theatre brings stories and other books alive using the creative techniques of Story Drama. 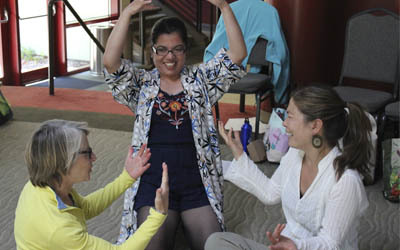 Book-It Repertory Theatre’s workshops teach methods to make literature fun, physical, and active for students. 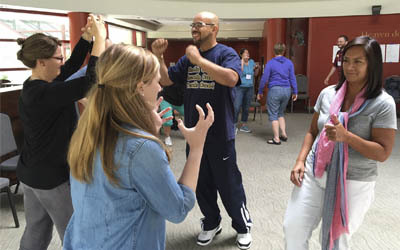 Teachers learn how to take literature from page to stage using the Book-It Style, which encourages an active relationship with a book through voice, body, and imagination. 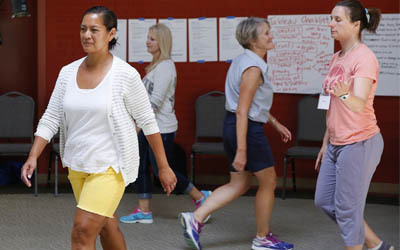 Pacific Northwest Ballet workshops focus on creative movement, student-led choreography, and arts integration. 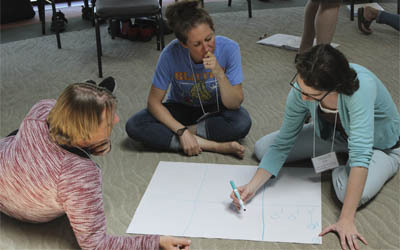 Lessons invite teachers to imagine possibilities while giving concrete tools for teaching dance in the classroom. 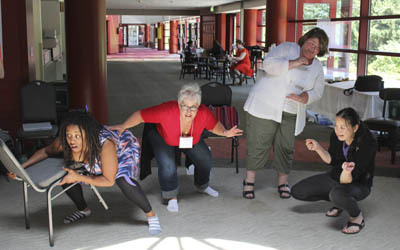 Creativity and collaboration are at the heart of each session, exploring new ways to imagine curriculum using movement. 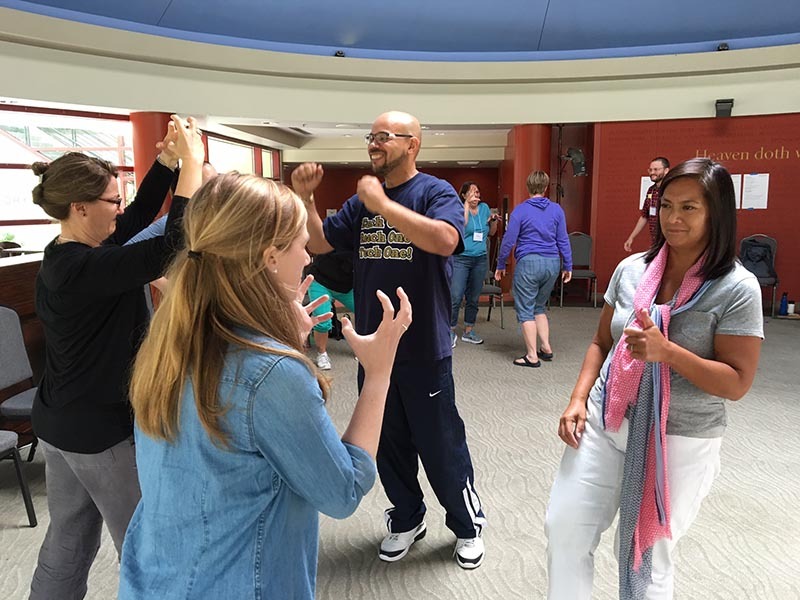 Rachel Atkins has developed and leads workshops including Tableaux, Race & Social Justice, Social & Emotional Learning, and Developing Awareness, Empathy, & Respect. Throughout the summer intensive week, BTiC provides workshops designed to give you a wide variety of techniques for teaching theatre within a variety of classroom settings and for a variety of subjects. You will receive a Resource Notebook of detailed, easy-to-follow Learning Plans from ALL BTiC workshops throughout the week. BTiC Learning Plans demonstrate alignment with Common Core State Standards in several content areas; as well as 21st Century Skills. We will also support teachers in becoming familiar and comfortable with the purpose and language of the new State Arts Standards; all of our Learning Plans are designed to help students reach these standards in theatre and can be used to augment other discipline areas. After the summer intensive, you’ll have the opportunity to sign up for a follow-up consultation during the school year. 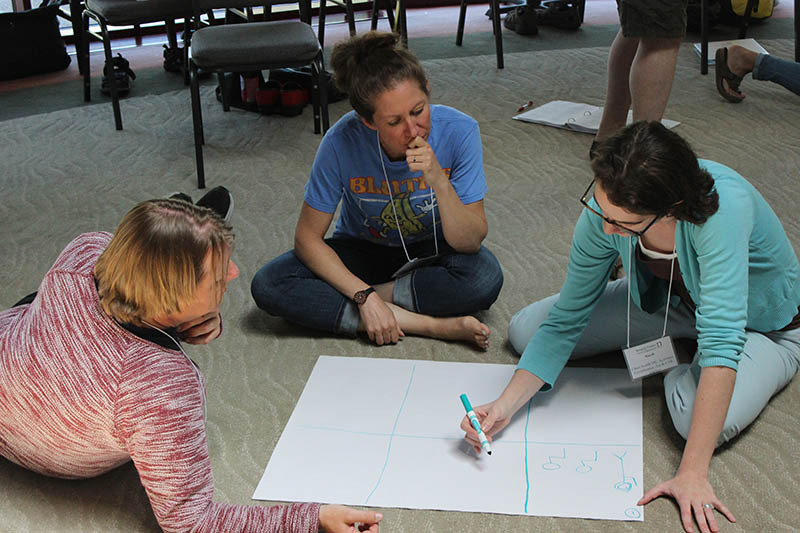 Whenever possible, a BTiC Faculty member will travel to your school to work with you as a collaborator, coach and co-teacher, to integrate lessons learned during the summer workshop into practical lesson plans for your classroom. Debrief: Final meeting between teacher and TA to assess overall experience and plan for future integration opportunities. Over the past 10 years, we have provided over 200 consultations for teachers across the state. The consultation component has been beneficial in helping BTiC participants provide quality arts-infused education in their classroom. There is no additional charge for follow-up consultation.